That gave me the idea for this thread. So I'll post video descriptions of each of my basses. Let's start with my '78, '79, and '80 Music Man basses. Others feel free to add video descriptions of your own instruments and amps. Others may learn from how you use what you use. I have 3 basses. A Lakland 55-01, A SBMM SUB Ray4 and a custom 4 string Jazz bass. The 55-01 and SUB Ray4 have been modified. I have 3 micro amps. 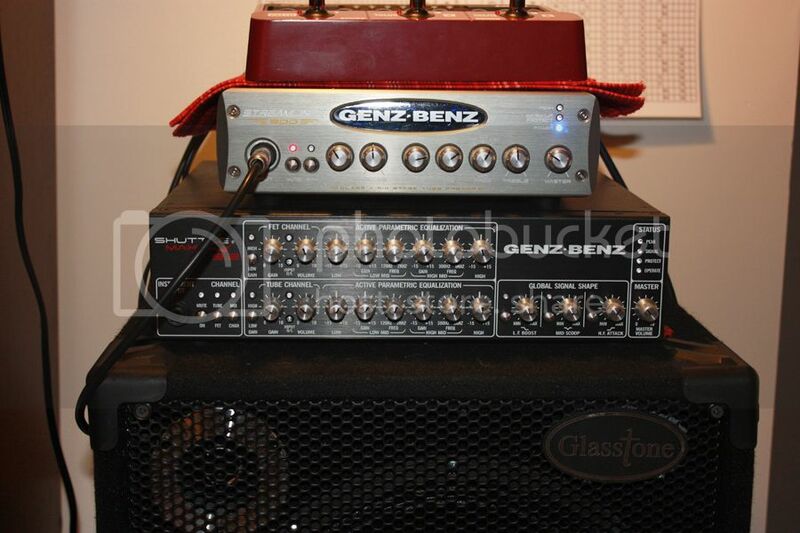 Markbass LMIII, Genz Benz Shuttle 6.0 and a Gallien Kreuger MB200. I also have a rack rig. A BBE BMax running into an Alto APX1000 power amp which I run in parallel mode. I have 2 Gallien Kreuger Neo112 cabs and 1 Eden Nemesis 212 cab. I will do a video at some point and maybe Malthumb can add it to my post. As promised, here is my video. Note: Correction, the pickups in my custom Jazz are EMG JV's (vintage). I'll do another showcasing the my micro amps. Didn't feel like doing a video so I took pics and created a collage. Like those micros, eh? I sorta have two of those. My main setup is a MarkBass CMD 102P Combo. 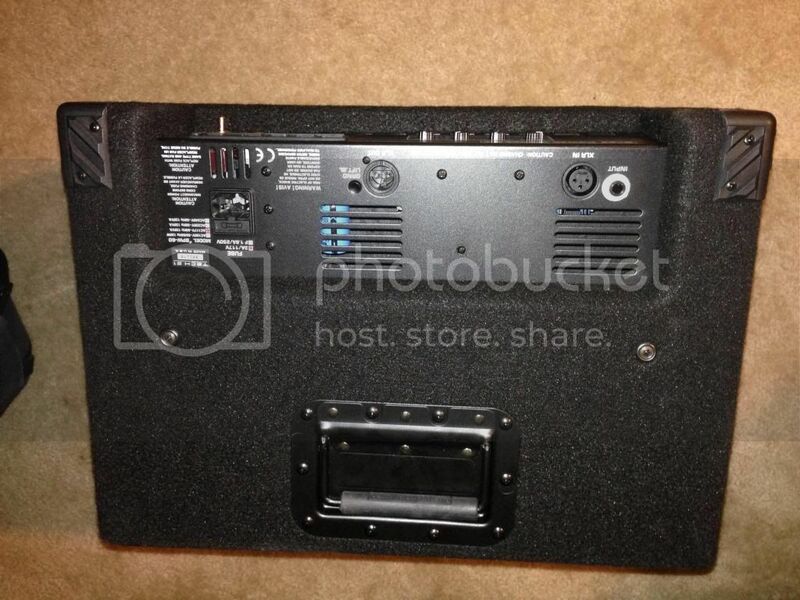 The amp in that is either the same or very similar to your MarkBass head. I also have a GK MB500. If I want to go small, I velcro the GK MB500 to my MarkBass Traveler 102P extension cabinet and roll with that. That gives me a 300W output and nice tone. When I want to go big, I take the MarkBass combo and add the extension cab. That rates out at 500W. And if I want to go big and stereo, I take the combo and velcro the GK MB500 to the extension cab and basically have two 300W rigs and cable one of my Alembics in stereo mode. Then I can send different signals (one clean, one with effects) to each rig. I like to do this if I have room to put them in different locations on the stage. I'm actually selling my Markbass amp for $400. Comes with the Markbass carry bag. It's in excellent to like new condition. It's been kept in the carry bag since I bought it. If anyone is interested, hit me up. My price if firm. Selling my Genz Benz Shuttle 6.0 for $325. Excellent shape other than scratchy pots (typical of these amps). Comes with the Genz gig bag. 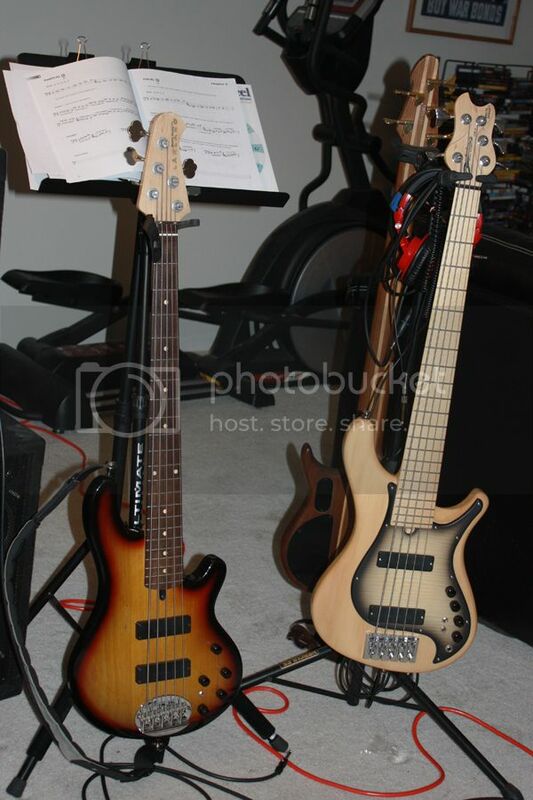 The one on the left is a modded Brice HXB Fretless.. It is a cheap but decent bass.. I modded it with a BassMods preamp. 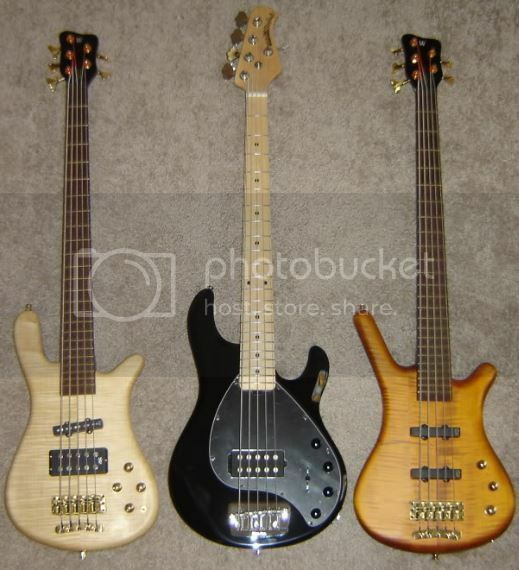 The one on the right is a Peavey Cirrus fretless.. I wasn't sure if I would like a fretless and I didn't want to spend a lot of money.. so I initially got that Brice from Rondo Music. I sold my Kingston KZ 5 and added some cash and got a KZ6 but I found that a 6 was not for me at the moment.. so I traded that KZ6 for the Peavey and some cash.. I like fretless bass.. much more than I did 6ers. For my amps I use a GB Streamliner 900 and a SL 9.2 (not at the same time of course... ) and for cabs a Glasstone Lil G and a Tri 115. I have never had to use both cabs at once yet. I got a great deal on the 9.2 Max when they were going out of business so between those two amps I will probably be set for the duration... The cabs are nioce as well.. Everything you see here except the Brice, the Breedlove, the 9.2 and of course the 78 Jazz I got off of TalkBass. This is an older picture of my Heir.. I have since installed a Delano Sonar preamp and some Delano pups in it..
Breedlove Atlas... A very nice ABG. Plays well, sounds great acoustically and has a built in tuner. 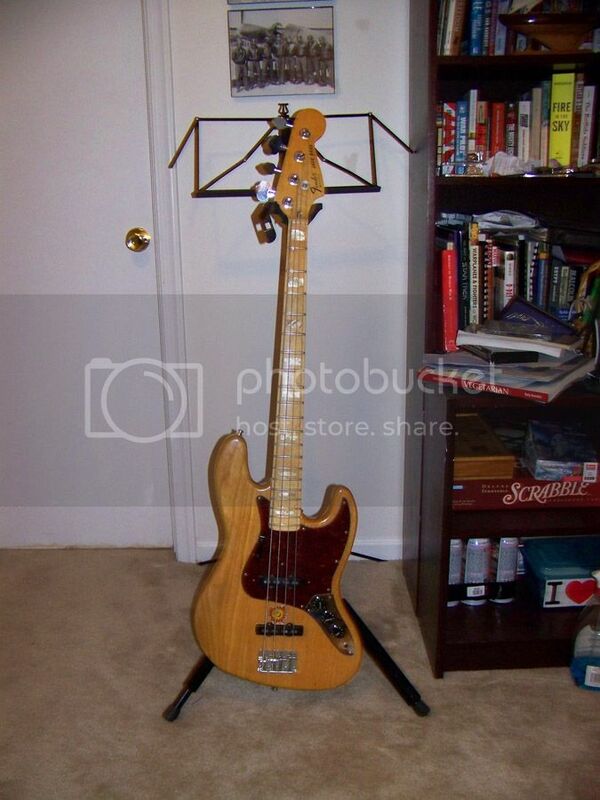 This 78 Jazz was my first real bass.. boughtit in 78 from Alex Axe on 48th St in Manhattan for $537. I still have the receipt. Last but not least... these are my two go to basses. A Lakland 55-01 and a Brubaker Brute JJX. I will most likely sell the Heir and the Brice.. but the rest I will possibly keep unless I just come into a lot of money one day and can buy whatever I want... but between the Brute, the 55-01 and the Cirrus I am quite satisfied with everything I have. Update on my gear. Both the Markbass and Genz Benz are gone. Strickly using my rack rig for now. I am assembling a second rack rig. Just got a Tech 21 RBI and I bought a Crest ProLite 2.0 but it came damaged so I'm waiting on resolution to that. I still have my little GK MB200. I love that little amp. I just started to play bass again after over a decade. Another update. Well....the Crest ProLite 2.0 deal was a bust. I was refunded my money and bought a Crown XTi1000 to pair up with the Sansamp RBI preamp. I just need a 3-4 space rack bag or case for them. Guess I have an update, too. I just had a Sadowsky preamp installed in my Fender American Deluxe Precision 5 (AmDlxP5). It made was already a very nice bass, the best Fender I've ever played, into a total tone beast. This thing is crazy good now. Guess it'll be the subject of my next video. I presently use one of the three following bass: Warwick Streamer Jazzman LX5, Warwick ProLine 5 and Ernie Ball Musicman Stingray H 5. If the situation dictates, I will also bring a DSI Mopho SE keyboard, or another analog keyboard, for synth bass duties. I also have an upright bass, but I have not brought it to church in several years. My primary church rig consist of a Carvin B600 head and two Carvin BRX10.2 cabs. 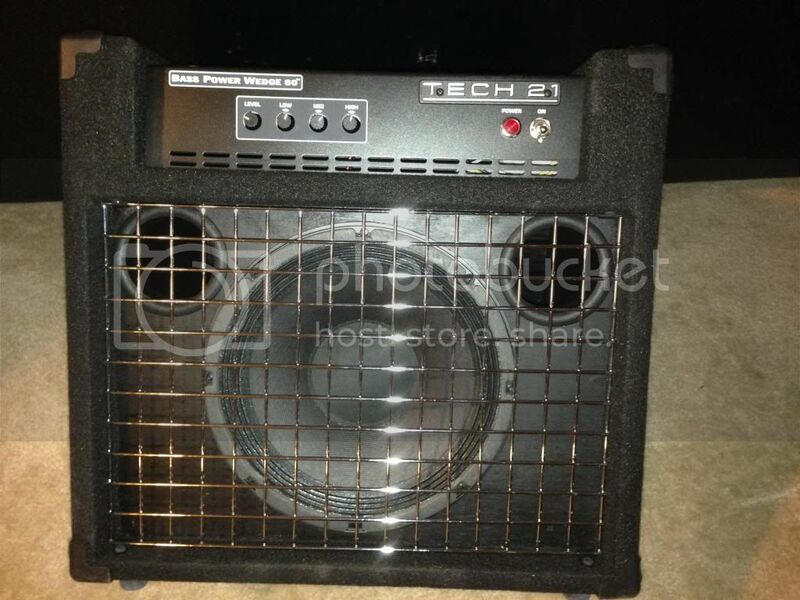 For smaller church settings, for when my church choir visits other congregations, I will use either one of the aforementioned cabs or bring an Ampeg BA-115v2 combo. Welcome to LGM and welcome to the Bass Forum! It's been a little slow around here lately, but hopefully you can find the information and fellowship you need to keep you coming back. Warwick's are definitely nice basses. I've never owned one, but came close a couple times. And Musicman Stingray 5? Nothing but good things to say about that. Thank you for the warm welcome, Malthumb! It is good to see a follow Detroiter on the forums. Although I no longer live in Michigan, the Detroit area will always be home and most of my immediate family remain there. I have been a lurker for quite for a long time, but hopefully I can add some value and input to the bass and other forums going forward. In regards to my basses, the both Warwicks really shine with when playing urban and contemporary Gospel music, especially when a lot of slapping is required. I prefer the Stingray for mostly traditional and 80's/90's choir Gospel music, as it has more of an old school vibe. Lately, the Stingray is my go-to bass, because my present church and its main choir leans more towards the traditional side of Gospel music. However, my overall bass collection provides a lot of options and I have not updated it in quite some time now, but that may change in the near future. An Ibanez SR5005 Prestige is begging to be added to my collection. My wife is over my right shoulder. My bass is an Artic White Sqiuer Jazz Deluxe with Norstrand pick ups installed and an Audere pre amp. My Head is a Markbass Little Mark III. My cabs are Epifani 1x12 I think they are performance series. And another update! Still have the main rack rig. No longer have the SanAmp preamp. I'm using the power amp I bought for it for PA purposes. I also bought a Markbass Blackline 250 and also an Overton Featherweight 500. Having issues with that one though. If anyone who lives in the Maryland/DC area and knows any of the Overton folks, please pass along their info to me. I found a Spector Legend Classic at a pawn shop for cheap. About to upgrade the electronics in it. For normal church services, I mostly bring just one bass (usually my Musicman Stingray), the previously mentioned Carvin B1000 head and two Carvin BRX10.2 cabinets. Otherwise, I also changed strings from Ken Smith Bass Burners to DR Fat Beams. So far, so good. The Fat Beams definitely sound better on my Musicman Stingray. On my Warwicks, both strings are a toss-up, IHMO. I mainly changed strings due to the fact that I can find the Fat Beams locally, but the Bass Burners I need to order them. I haven't played since the birth of my 3 year old son. I haven't logged in for years. Squier Deluxe Jazz 5 string- Norstrands pickup, Audere pre.